If you’re planning a trip to Europe, I highly recommend a visit to Ireland. It’s a beautiful country with several amazing places to experience. Dublin is a great city (especially if you like to have a drink or two), but there are also plenty of adventures you can take outside of the city limits. 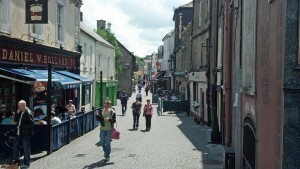 One of my favorite day trips from Dublin was a small place called Kilkenny. My mom and I had spent three days in Ireland, and we weren’t really sure where we wanted to spend our fourth and final day. We grabbed a map, looked for something nearby, and spotted Kilkenny. 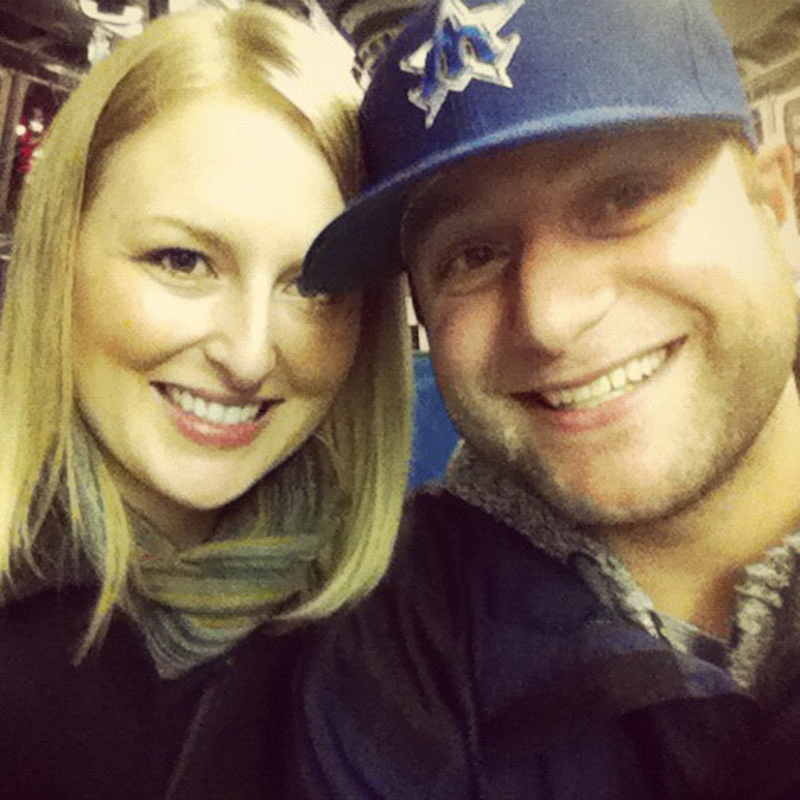 We had already read some fun things about the city, so we decided to go for it. We walked from our hotel to Heuston Station in Dublin, paid about €24 for a round trip (we got a discount because of our Eurail pass), and then took the hour-and-a-half train ride to Kilkenny. 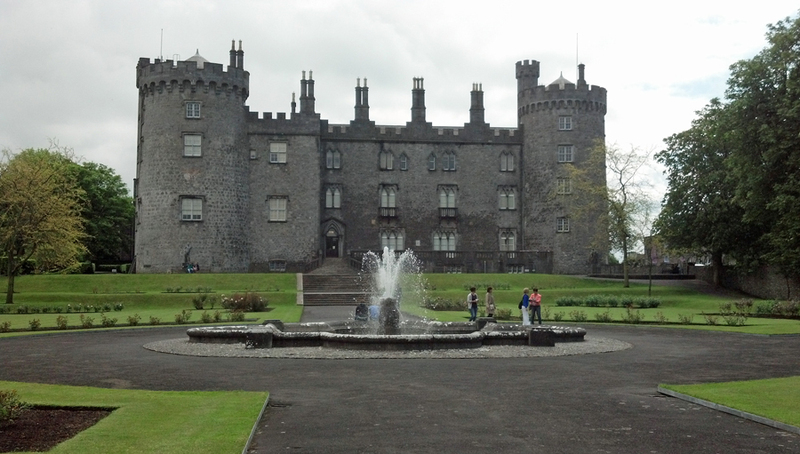 I’m more of a Dublin (big city) kind of guy, but I really enjoyed Kilkenny (a city of about 24,000 people). It’s a beautiful place thanks in part to the medieval buildings all over the city. 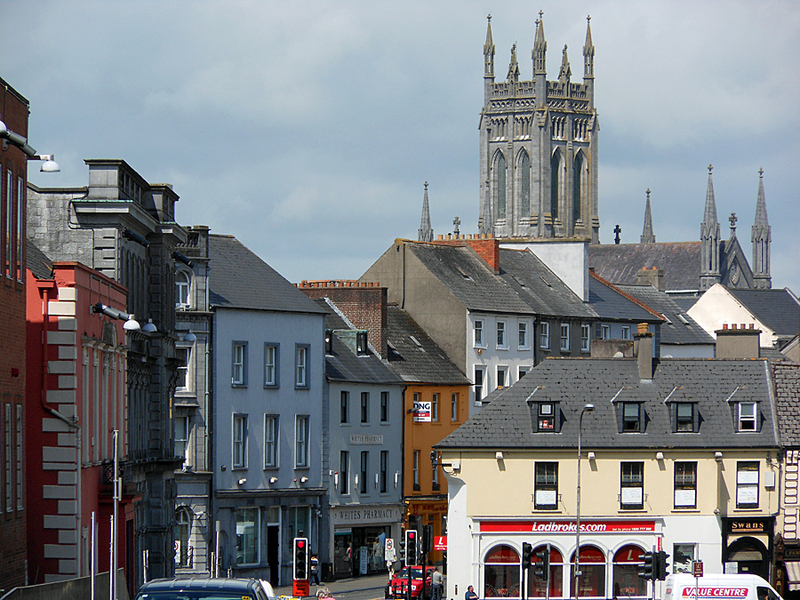 From Kilkenny Castle, to Black Abbey, to St. Mary’s Cathedral — Kilkenny is loaded with history (it recently celebrated its 400th anniversary as a city). 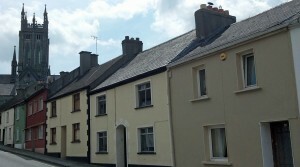 On top of the that, the streets of Kilkenny are lined with colorful buildings, which really bring the city to life. NOTES: Kilkenny is known for its sight-seeing more than anything else, but if you’re looking for a good time, stop by Smithwick’s brewery. It’s the oldest operating brewery in Ireland (producing its first brews in 1710) and it’s right in the heart of Kilkenny. The people in Kilkenny are another highlight of the city. They were easily some of the nicest folks my mom and I came across in Europe. Not only were they great to each other; they were also awesome to tourists. Everyone would say hello as they passed by or they’d send you on your way with a friendly “cheers.” The people in Kilkenny were also quick to help when we needed directions, which happened a couple of times. My mom and I accomplished everything we wanted to (a self-guided walking tour of the city and breakfast) in a few hours, but we could have spent much more time in Kilkenny. We had a flight to Edinburgh later that night, so we were pretty limited on time. My mom and I actually almost missed our train back to Dublin (making it just minutes before departure). We were so caught up in the sights of Kilkenny that we lost track of time. My mom and I literally had to sprint across town to the train station. It wasn’t exactly how we wanted to end our peaceful day trip to Kilkenny, but it provided some sweat and a good laugh. If you’re looking for day trips from Dublin (or anywhere else in Ireland for that matter), you should definitely consider Kilkenny. It’s a beautiful city, with incredible people and plenty of fun ways to fill your time. What else could you ask for? Have you ever been to Kilkenny? What did you think? We would love to hear from you! Simply leave a comment below or connect with me on Twitter, Facebook and Google+. Don’t forget to visit Seattle Bloggers for more great getaways from the Emerald City.